A Clipart of doctor with a patient available as a transparent PNG. 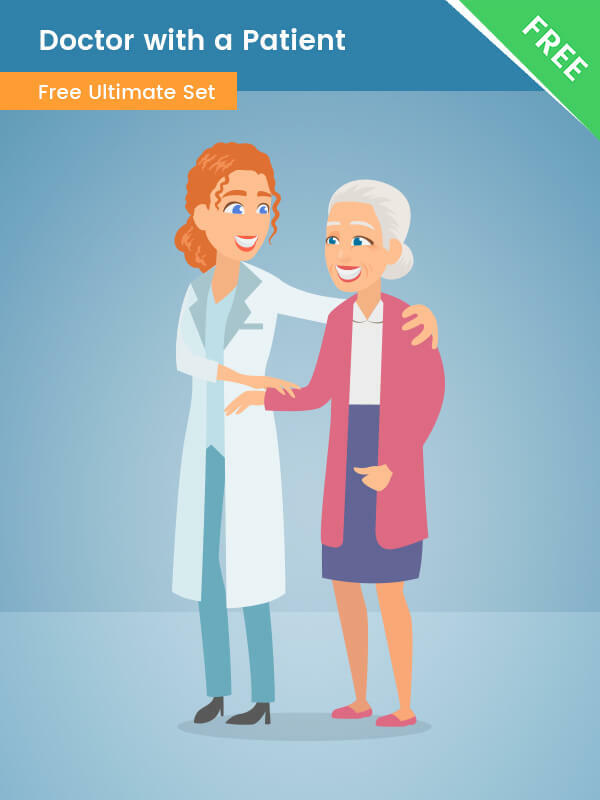 This caring doctor with an elderly patient is perfect for any medical and healthcare related design. We’ve made this clipart to be friendly and welcoming. Your audience will understand that you care about people. This illustration is available for free download, so you can get it by clicking on the download button below.